Imagine Day is an orientation for new UBC students. This year, Imagine Day activities will include material on the Indian Residential Schools and UBC’s involvement in the Truth and Reconciliation’s National Event in September. The Museum of Anthropology offers teaching kits, panel exhibits, and guided studies for use in the classroom. 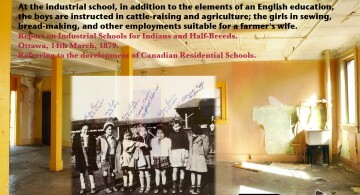 The Residential School Kit is intended for students in Grades 10-12 and was developed in conjunction with the Residential School Survivor Society, the Legacy of Hope Foundation, and the Aboriginal Healing Foundation.